Fans will be delighted as Naked Music’s chief maestro, Jay Denes aka Blue Six returns with a stunning new album ‘Signs & Wonders’. Jay’s signature blend of elegant and deeply emotional music is ever-present as he delivers one of his impassioned albums to date, drizzled with seduction, melancholy and honesty. The singers featured on the album are long time cohort Aya, who has appeared on many a Naked Music release and has also worked with Sweetback and Lenny Kravitz; Tabitha Fair, who was a Nashville country singer, now residing in NYC; and contemporary Jazz singer, Catherine Russell, who performs at her own sell out shows at NYC’s Lincoln centre and also sings with David Bowie and Steely Dan, among others. 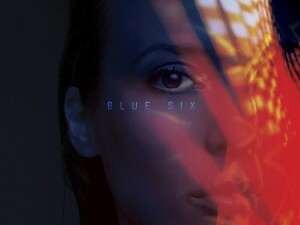 Blue Six aka Jay Denes started his professional career in music in the late 80’s playing keys and singing in a New York based electronic pop band. After experiencing difficulties with his first record deal, he decided to strike out on his own as a writer and producer, later teaming up wth Dave Boonshoft, an accomplished musician and successful entrepreneur. Together they decided as independents to make the highest quality recordings possible, while still retaining commercial viability. From this the Naked Music NYC production company was born. A series of unique and highly identifiable genre bending releases immediately set the tone, winning them instant popularity worldwide. Quick success in the underground scene led to growth in their niche, high profile remixes for majors and the formation of the Naked Music imprint. Under the moniker Blue Six, Jay has penned Naked Music classics such as ‘Music & Wine’ and ‘Pure’ among many, releasing his debut album ‘Beautiful Tomorrow’ in 2002, later followed by ‘Aquarian Angel’ and ‘Noesis’ albums to great acclaim. Jay produces and writes as much of Naked’s output as possible, keeping the emphasis on purity of vision and quality. 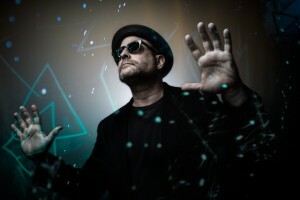 He’s produced and written Aya’s ‘Strange Flower’ and (in collaboration with Eric Stamile), Lisa Shaw’s ‘Cherry’ albums as well as the Naked Music, ‘Recreation’ album. The look and sound has continued to evolve, but the mission has remained constant: Staying true to the art in the face of a fickle, trend oriented industry. ‘Signs & Wonders’ will be released worldwide on December 1st 2014 on Naked Music NYC Recordings.